Tech company Google hosted a special event yesterday wherein the company revealed a line of new products like the Google Home Mini as well as the Google Pixelbook. Nestled among those reveals was the formal reveal of the Pixel 2, the company's latest and most robust smartphone ever. The Pixel 2 is a device that's set to introduce mobile users to a host of new AR and VR-based experiences using some of the phone's more powerful hardware, and to showcase some of its capabilities, Google is rolling out a suite of both augmented reality and virtual reality software. Like with Apple and the company's new iPhone X, Google is making a big push for augmented reality-based experiences on the Pixel 2. Google has designed the Pixel 2 and its powerful hardware around AR functionality, and as such, the company has revealed a number of new AR experiences they think will be a hit among fans. One of the new experiences exclusive to the Pixel is called AR Stickers, which is software that allows Pixel 2 users to add stickers and other emoji-like images on top of photos and videos. According to a blog post over on the Google website, AR Stickers allows users to express themselves through various additions like tired-looking cups of coffee or even digital balloons when the mood turns festive. And, even better, these additions can be thrown into the mix straight from the Pixel 2's native camera app. 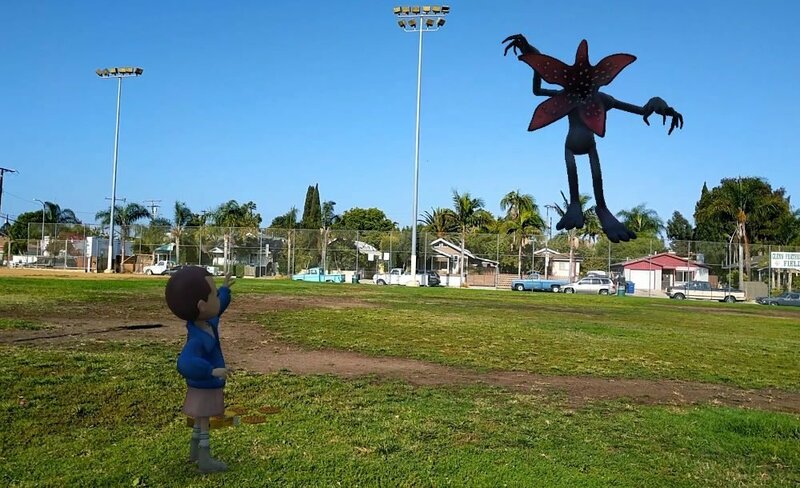 As might be expected, Google has plans to roll out new AR Sticker packs in the future, with mentioned plans for adding characters from popular television series Stranger Things, as well as various stickers from Star Wars: The Last Jedi, Saturday Night Live, and even the likenesses of various NBA stars. Pixel 2 users will also be able to make use of the more common "showroom" type apps that allow users to decorate their homes with virtual furniture and art. Alongside the announcement of a more powerful Pixel phone is Google's newly-redesigned Daydream View VR headset. These are a far cry from the popular Google Cardboard viewers of yesteryear, presenting a VR experience with refined image clarity and a wider field of view when compared to previous Daydream headsets. 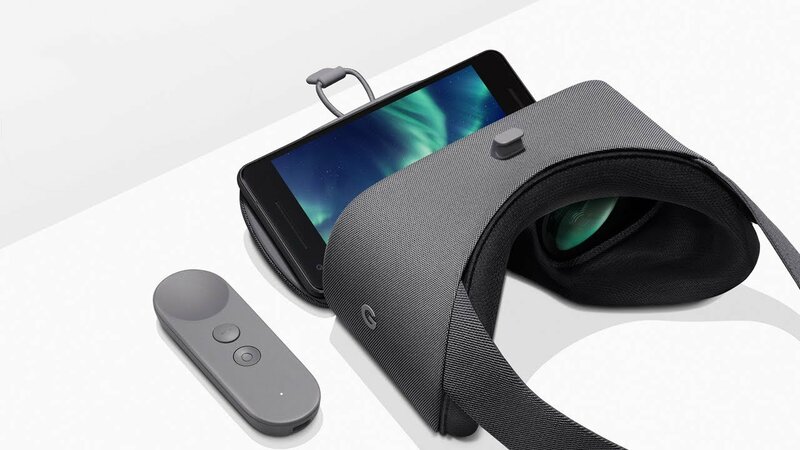 Like the older versions, however, the new Daydream View headsets are designed around comfort and light weight, being constructed primarily of a fabric available in the same three colors fans will find on the Google Home Mini smart speaker. Of course, no new VR headset would be complete without new and exciting VR experiences, and toward that front, Google has plenty to offer. The company has stated that Daydream now has over 250 unique titles, and that's to say nothing of the large selection of VR video available on YouTube VR. Google also has a number of fresh VR experiences to check out, including concerts for popular artists filmed for VR displays as well as special YouTube VR original films from entertainers like Felix & Paul. Google has also mentioned the ability for Daydream viewers to check out Earth's seven continents with the new Discover TRVLR series as well as a number of interesting space-based experiences from IMAX 3D, which can be found through Google Play Movies. Those who want to make the most out of their Pixel 2 would do well to scoop up the new Daydream View VR headset when it releases later this month on October 19. The Pixel 2 has certifiably bonkers specifications, and as such, it should be more than powerful enough to run some of our favorite Android titles, the likes of which we've featured over on our list of the Best Android Games.